Antigo Area Community Food Pantry April 3rd11am-1pm (Wednesdays) & April 5th 1pm-3pm (Fridays), 2120 Progress Blvd., Antigo (715) 623-1103. Our monthly donation focus for the month of April is baby needs and supplies. Elcho Area Community Food Pantry April 1st & April 8th 10:30am-12:30pm (Mon. ), April 3rd 4-6pm (Wed.), 11224 Antigo St., Elcho. 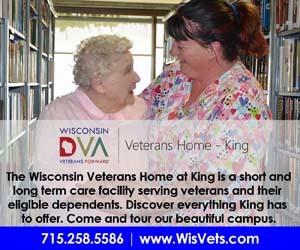 Call (715) 610-5886 for more information. Mahjong at the Langlade County Senior Center April 1st 1-3pm Langlade County Senior Center, 1225 Langlade Rd., Antigo. Come and learn how to play. For more information, please call 715-627-6632. Coffee Klatch for Seniors April 2nd & April 4th (Every Tues. & Thur.) 9-11am Langlade County Senior Center, 1225 Langlade Rd., Antigo. Come and enjoy some coffee and conversation with others. For more information, please call 715-627-6632. Strong Bones with Kathy April 2nd & April 4th (Every Tues. & Thur.) 9-10am Langlade County Senior Center, 1225 Langlade Rd., Antigo. Strong Bones is an ongoing strength training program designed to help adults become or stay fit, strong & healthy. Individuals will improve muscle strength, bone density, self-confidence, sleep and vitality. Also, participants have shown a decreased risk of diabetes, heart disease, arthritis, depression & obesity. Classes are offered for an hour, twice a week. Pre-register by calling the Aging and Disability Resource Center at 715-627-6232. Blood Pressure Clinic April 3rd 9am-Noon Antigo Fire Department, 700 Edison St., Antigo. For more information, please call Lisa Vollmar at 715-350-7315. Preschool Story Time April 3rd 10:30-11:30am Antigo Public Library, 617 Clermont St., Antigo. Join us for story time at the Antigo Public Library! This is a great way for kids who haven’t started school yet to meet & socialize with peers. Every week we’ll read 2 or 3 books together as well as doing some songs & movement. We also do a simple craft or coloring page that helps kids develop creativity & motor skills, & occasionally (attendance permitting) other activities such as parachute play. This event is geared towards preschoolers, but older or younger kids are welcome to attend as well. Bingo at the Langlade Co. Senior Center April 3rd 1-2:30pm Langlade County Senior Center, 1225 Langlade Rd., Antigo. Hunter Education Class April 3rd 4:30-8pm, April 4th 5-8pm & April 6th 9am-3pm Antigo Bow Club, 1112 Mendlik Ave., Antigo. The cost of this class is $10. In conjunction with this hunter education class is a bow hunter education class, held on April 7th from 8:30am-3:30pm. To be eligible for this class, attendance in the hunter education class is a prerequisite. The bow hunting class is also $10. Interested students can stop by the Antigo DNR office at 223 E. Steinfest Rd., Antigo from 11am-2pm Monday through Friday to register, submit payment and receive class materials or call Carrie at 715-623-4190, ext. 3104 to make arrangements. Play & Learn April 4th 9:30-11am N4013 Hwy. 45, Antigo. Play & Learn is a weekly play group program for parents, caregivers & children from birth to age 5. Staff will provide a parent lesson, an activity for parents & children to do together. The activity will build skills for school readiness & milestone achievement. Quarterly Ages & Stages questionnaires are made available to parents & caregivers to assist families in helping their children to reach age based development milestones. Join the conversation on Facebook – Northwood’s Family Resource Centers http://www.facebook.com/NorthwoodsFRCN. For more information, please call 715-627-1414. Cards, Dominoes & Game Playing Program April 4th (Every Thurs.) 1-4pm Langlade County Senior Center, 1225 Langlade Rd., Antigo. Have you been looking for someone to play cards & games with? Here is your chance to meet others and share your love for cards, dominoes & games. For more information, please call 715-627-6632. Entrepreneurial Training Program Orientation Day April 4th 5:30-6:30pm Northcentral Technical College, 312 Forrest Ave., Antigo. The Entrepreneurial Training Program orientation is a one-hour session where participants will learn the “must-dos” to launch a business and keep it running, understand why a business plan is critical to a business’s success, and explore the characteristics of successful entrepreneurs. There is no cost to attend this orientation, but pre-registration is appreciated. To register, call Langlade County Economic Development at 715.623.5123 or email aclose@co.langlade.wi.us. Stone Soup Playing at the Langlade County Senior Center April 5th 1:30-3:30pm Langlade Co. Senior Center, 1225 Langlade Rd., Antigo. They will be playing music for your enjoyment. For more information, please call 715-627-6632. Wisconsin Sports & Military Firearm Collector Gun & Sports Show April 5th-7th 3-8pm Fri., 9am-5pm Sat. & 9am-3pm Sun. Langlade County Fairgrounds – Multi-Purpose Building, 1635 Neva Rd., Antigo. Exhibitors display a wide variety of guns, knives and related accessories for the serious collector and sportsman. Hosted by Bob & Rocco’s Gun Shows. Admission is $6. Children 14 & under are free. For more information, please call Bob Pucci at 608-752-6677 or go to http://www.bobandrocco.com. 2nd Annual Milwaukee Brewers Fun Bus Trip April 7th 7:45am pickup at Pick N’ Save, 406 Hwy. 64, Antigo. We will travel to Milwaukee to see the Brewers take on the Chicago Cubs. The cost is $100 per person, which includes your travel, ticket to the game, and a boxed lunch. There will be raffles & prizes during the trip. We will stop for dinner on the way back. This meal is not included in the cost. This event benefits the Northwoods Alliance for Temporary Housing – Frederick Place. To reserve your seat or get more information, please call 715-360-9319 or 715-482-7727. Tigerton Pancake Breakfast April 7th 9am-1pm Tigerton Community Center, 221 Birch St., Tigerton. Sponsored by Tigerton Main Street, American Legion and Auxiliary. For more information, please call 715-508-0246. The Browns April 7th 10:30am Four Corners Assembly of God, N3891 Hwy. P, White Lake. The Browns deliver the powerful message of the Gospel through word and song that will engage audiences of all ages. Antigo Lions Club 30th Annual Sportsmen’s Raffle & Spaghetti Dinner April 7th 11am-3pm Swartzendruber’s 1315 Forrest Ave., Antigo. The spaghetti dinner is $7 per person. 50/50 raffles, and many meat raffles. The Sportsmen’s raffle is at 3pm with 10 guns, diamond jewelry, 2 crossbows and much more. Join us for a great time. For more information please call Chris at 715-623-3722 or Cal at 715-216-0519 or Scott at 715-216-2514. The Bellamy Brothers Concert April 7th 4pm Wittenberg-Birnamwood High School Auditorium, 400 W. Grand Ave., Wittenberg. Join us in welcoming The Bellamy Brothers to Wittenberg. Playing all the hits you know and love from their remarkable catalogue of country music. Don’t miss it. Please call Rob Wyman at (715) 584-4203 for ticket information. Luke Spehar Concert with Praise and Worship April 7th 6-8pm St. John’s Catholic Church, 415 6th Ave., Antigo. Luke Spehar will be leading a night of praise and worship. He will begin with a concert from 6:00 pm to 6:45 pm and then will begin praise and worship with adoration and confession. Luke will be available after the concert to spend time with guests. For more information, go to www.lukespehar.com or call Father Zach Weber at 920-627-6330. Antigo Rotary Meeting April 1st & April 8th Noon -1pm Swartzendruber’s Supper Club, 1315 Forrest Ave., Antigo. City Plan Commission Meeting April 2nd 6pm City Hall, 700 Edison St., Antigo. Antigo Optimist Club Meeting April 3rd 12-1pm North Star Lanes, 400 Prosser Place, Antigo. Wild Ones Northwoods Gateway Group Meeting April 4th 10am Green Hen, 727 Superior Street, Antigo. Wild Ones strives to become a widely recognized voice for native plants and the sustainable landscaping movement, promoting increased use of native plantings that create living landscapes. Baby & Me Group April 1st & April 8th 1:00pm-2:00pm. Langlade Hospital, 112 East Fifth Avenue, Antigo. Langlade Birthing Center, second floor of the hospital. Facilitator: RN/International Board Certified Lactation Consultant. For more information please call 715-623-9280. No fee. AA Support Group (Open) April 4th & April 6th 7:00pm. Langlade Hospital, 112 East Fifth Avenue, Antigo. Langlade Hospital Conference Room 1022, adjacent to Chapel in the new hospital. Thursdays & Saturdays. Narcotics Anonymous April 5th 7:00pm. Langlade Hospital, 112 East Fifth Avenue, Antigo. Langlade Hospital Conference Room 1022, adjacent to Chapel in the Langlade Hospital. AL-ANON Meeting April 1st & April 8th 1:30pm. Antigo Community Church – Quest Center – Room 1, 723 Deleglise Street, Antigo. Mondays at 1:30pm. Overeaters Anonymous April 1st & April 8th 7:00pm. St. Mary & Hyacinth Parish Center, Room 4, 819 3rd Avenue, Antigo. Mondays at 7:00pm. Weight Watchers Meetings April 2nd 6:45am & 5:30pm United Methodist Church, 2034 5th Ave., Antigo. T.O.P.S. (Take Off Pounds Sensibly) Support Group Chapter #950 April 2nd 4pm Antigo Community Church/School, 723 Deleglise St., Antigo. T.O.P.S. (Take Off Pounds Sensibly) Support Group April 4th 5pm Steffen Memorial Home, 503 5th Ave., Antigo. H2O Cardio Classes April 1st & April 3rd 9am Clara R. McKenna Aquatic Center, 111 Western Ave., Antigo. H2O Cardio is a 45 minute high intensity water fitness program which will provide cardio & strength training without the strain & pain to muscles & joints. The water, along with the use of resistance equipment, will challenge all aspects of the body & increase your physical fitness level. For more information, please call 715-627-0497.